Founded in 1996, Team Honda Research –West (THR-W) is the officially sanctioned employee road-racing team of Honda R & D Los Angeles. The team, which undertakes its racing efforts as an after-hours activity, is comprised entirely of Honda associates who strive to exhibit in themselves and their vehicles the challenging spirit first demonstrated by company founder Soichiro Honda. The team (and its sister team, THR-Ohio), is an expression of the racing spirit that is a fundamental part of the Honda DNA. Operating under the mantra, “We develop what we race, and race what we develop,” THR-W strives to translate lessons learned on the track into new-vehicle development as part of the “fun-to-drive” character found in Honda products. The fact that Honda associates are themselves enthusiasts and racers is an indication that they have the interests of enthusiasts in mind when they bring new vehicles to market. The initial concept calls for an evolution of the traditional THR-W livery in signature Acura colors. 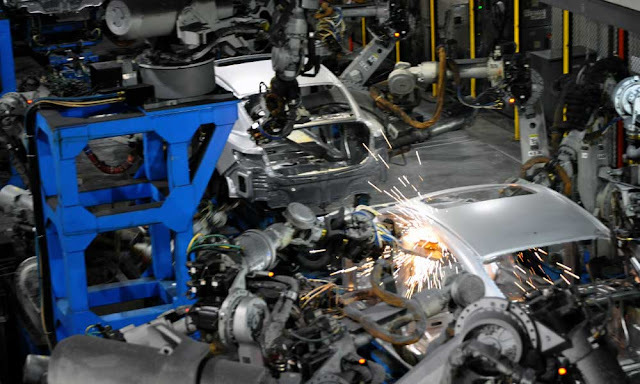 THR-W has taken delivery of two new Acura ILX bodies-in-white (HPDTX7001 and HPDTX7002) produced at the Honda Manufacturing Indiana facility specifically for THR-W and Honda Performance Development (HPD). With the collaboration of Solo Motorsports, the two chassis arrived at HRA Los Angeles reinforced with a bespoke CAD-designed roll cage. 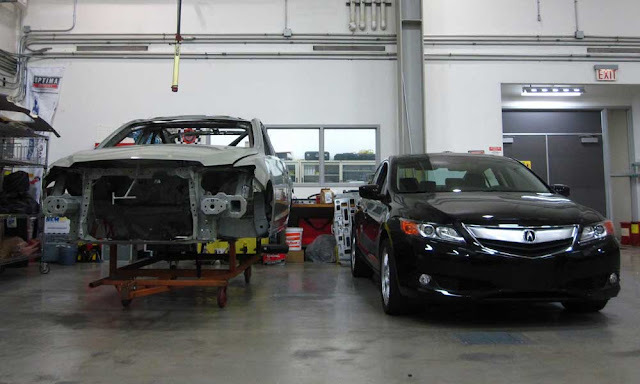 Today, the two Acura race cars met their production donor vehicles, and the ground-up build has begun. 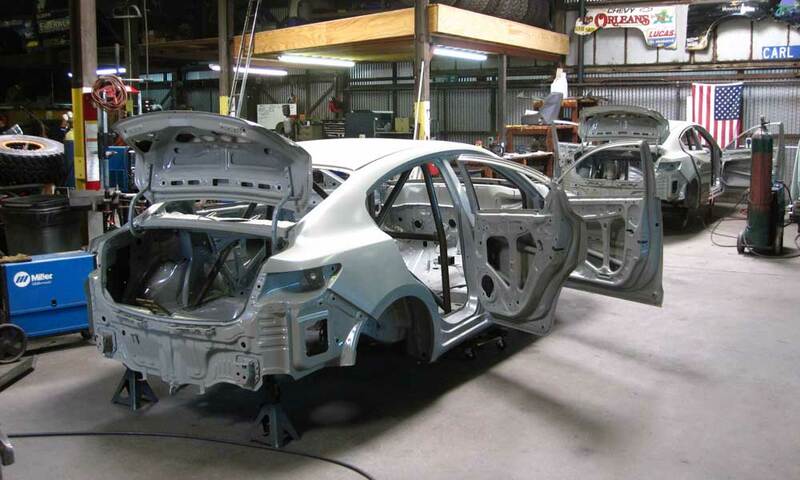 Please be sure to check the Honda Racing/HPD blog for updates about the build over the coming weeks, as THR-W and its two Acura ILXs head toward the 10th annual 25 Hours of Thunderhill!